Motor Mania Buzz: Will the Audi RS6 Avant start from £75k? 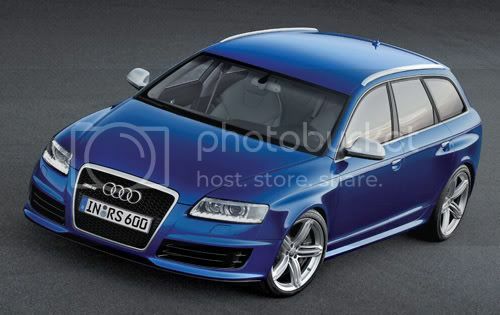 The Audi RS6 will go on sale in the UK in spring 2008. Pricing has been kept quiet but the Avant variant is likely to start from £75,000 which is £2,000 cheaper than the R8 supercar. The RS6 uses a 5.0 V8 litre petrol engine which develops 600bhp. Overall luggage space for the RS6 is 1,667 litres with the rear seats folded down. Claimed combined fuel economy is 20.3 mpg. Orders are currently taken now with sales starting spring 2008.